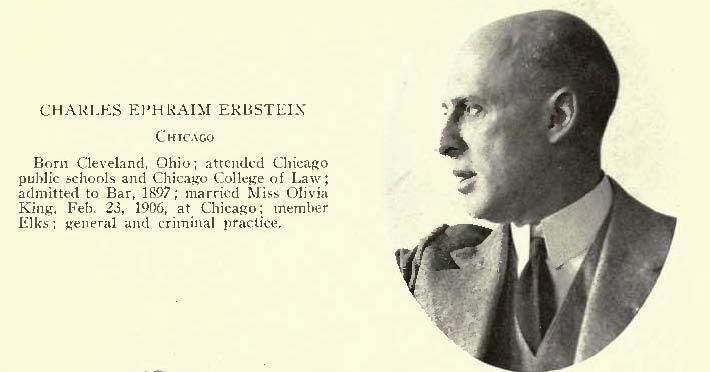 Charles Erbstein was a very successful criminal defense attorney in Chicago. He was also a radio pioneer and owner of the radio station WTAS. In 1924 Charles C. Healey, chief of police of Chicago, was indicted for malfeasance in office and as a conspirator in a plot to nullify anti-gambling laws. Others were also indicted. Clarence Darrow was associated with Erbstein during the Healey trial and several other cases.